Help your prospects keep a log of their favourite listings. All of our websites are built on our own platform called the LIFT System. It includes a set of software modules to make managing your marketing easier, as well as various website widgets that our web developers can add into the design and functionality of your website. 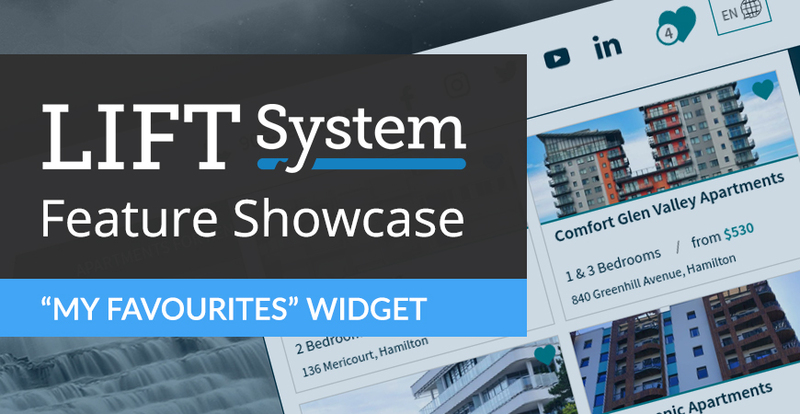 The feature we want to show off this time around in our feature showcase series is the "My Favourites" widget. 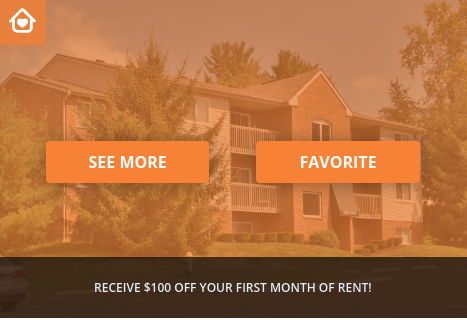 Renters use your website to search for properties. 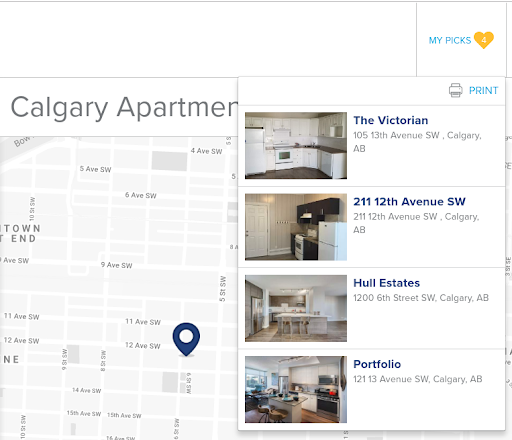 The "My Favourites" feature allows them to "heart", or favourite, the properties they're interested in to keep an ongoing list of the properties they can easily refer back to later. Prospects can also print the list of their favourites to take with them during showings. This isn't a feature you need if you only have a handful of properties in your portfolio. However, if you have a large number of properties in one city, it could be a useful addition to your website. 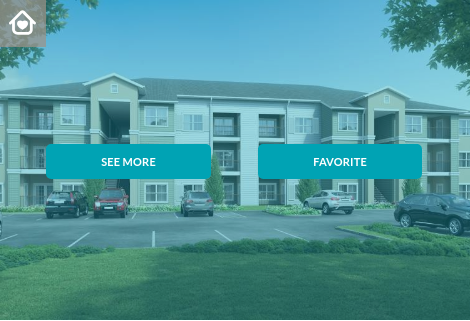 The "My Favourites" widget is a great way to enhance the user experience on your website as it makes the process of searching for a new apartment quicker and easier. Check out the examples below to see how we've implemented this widget on client sites.